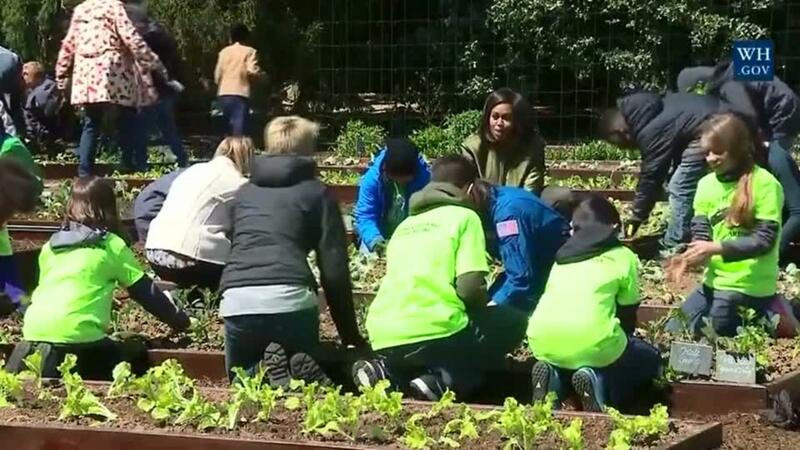 Eight years ago first lady Michelle Obama broke ground on the White House vegetable garden. Each year since she has invited children from around the country as well as special guests to assist her in planting delicious vegetables for the upcoming warm months. Mrs.Obama was inspired by the work of community gardens and thought it would be a wonderful way to open up dialogue on the foods we eat. Students from Wisconsin, Louisiana, Colorado participated as well as local students in the District of Columbia. This years special guests included NASA astronaut Cady Coleman, who planted Chinese cabbage, the same plant that was grown inside the International Space Station.